You’re angry as hell at the spouse you thought you knew. You want to hire the meanest, toughest SOB divorce lawyer you can find and exact the retribution you deserve by going to court. How could a judge not agree that your spouse is a complete (insert description here) and side with you on all issues? After all, you’re the one who’s being fair and reasonable, and you only want what’s in the children’s best interest, right? In my law and mediation practice, I hear these things every day. People who once said “I do” are now saying “Screw you!” They may demonize their spouse and the mother or father of their children. They want justice in their divorce, and they think court is the way to get it. I’m here to say it’s not. It might be shocking for a lawyer to tell you to avoid court. But there are ways to end a marriage that don’t involve a lawsuit. Instruct your lawyer to use negotiation, mediation and collaborative law instead to get divorced, arrange child custody, and resolve your issues. Here’s why. 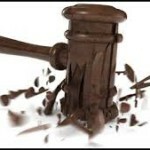 Control – Think you’re going to win in court? Think again. The reality in divorce court is no one wins. Judges hear polar opposite perspectives and “facts” from parties and often decide somewhere between those positions. Very often both parties are equally frustrated with the judge’s decision. By walking into court, you give up any ability to control the outcome. Cost – TV isn’t real life. The real-life court system is over-burdened and inefficient and absolutely NOTHING happens quickly. There are thousands of pending cases before yours. Count on it taking months, if not years, from start to finish and much more in attorney fees than you ever thought remotely possible. Closure – Life is too short to spend so much time with lawyers and devote time, energy and money on the never-ending negativity you’ll experience in court. Your spouse will never agree with you on what caused your marriage to end. Instead of continuing to insist you’re right, insist on problem solving and moving on. Children – Surely the most important reason. If you want to nearly guarantee that your children will suffer, then file that lawsuit. By going to court, you ask a third party to decide what’s in the best interests of your kids. Judges don’t know your kids and they surely don’t love your kids. Why are you letting lawyers or judges decide on what’s in the best interests of your children? 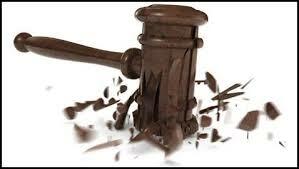 Once the judge makes a decision, either you or your ex feesl screwed or worse. Your feelings of animosity against your ex grow. Your children see, hear and feel everything that is said and just as importantly what is not, both before and after court. They may even be called upon to act as witnesses about you and your ex. In the months and years afterwards, they’re scared to talk about the other parent for fear of disappointing you. They worry what one parent will think at the soccer field if they approach or say anything to the other parent. These feelings carry on well into adulthood as you and your ex despise each other for years to come. Your children, even as adults, still worry about you at their graduations, their weddings, and the births of your grandkids! Would it then surprise you to watch them repeat your behaviour in their own relationships or marriage? It shouldn’t. Kids model their behaviour after yours, now and later. That’s why I urge you to find a way, through negotiation, mediation, or collaborative law, to compromise with your soon-to-be-ex and develop a solution that works for you and your kids. Negotiation is just what it sounds like – the parties and their lawyers attempt to settle issues out of court by negotiating and problem solving. In mediation, the parties do this with the help of their lawyers and a third-party neutral person. Collaborative law is a model designed to streamline negotiation and problem-solving. Twenty years from now, your family’s destiny may be different because you followed this advice today.